This post was originally featured on Chriskresser.com. 1. Gelatin heals your gut. 2. Gelatin makes your skin healthy and beautiful. Gelatin is a known promotor of skin health. Gelatin provides glycine and proline, two amino acids that are used in the production of collagen. Collagen is one of the primary structural elements of skin, so providing the building blocks for this important protein can ensure that your body is able to create enough of it. 3. Gelatin protects your joints. 4. Gelatin helps you sleep. Glycine from gelatin has been found to help with sleep. One study found that 3 grams of glycine given to subjects before bedtime produced measurable improvements in sleep quality. Many of my clients swear by gelatin as an effective sleep aid without bothersome side effects, in contrast to medications and even natural sleep aids like melatonin, which can sometimes cause grogginess. Glycine is also an inhibitory neurotransmitter, which can decrease anxiety and promote mental calmness. This is because glycine antagonizes norepinephrine, a stress hormone which causes feelings of anxiety and panic. Gelatin can thus help keep you calm and sleeping through the night. 5. Gelatin balances out your meat intake. The traditional way to get gelatin is from skin, gelatinous meats, and bone broths. Those who eat a Paleo or ancestral diet can easily include these foods, but vegetarians will find it difficult to get gelatin from a largely plant-based diet. Gelatin is only found in animal foods that come from the body of the animal itself. 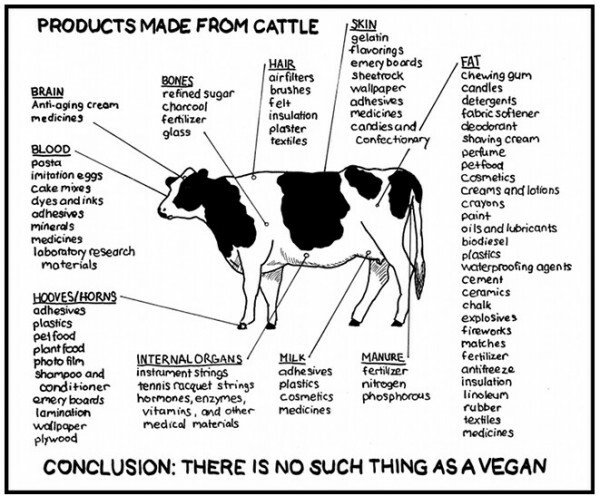 For vegetarians (and even omnivores!) I recommend getting a high-quality gelatin powder to add to food or to create yummy, healthy gelatinous desserts. Gelatin is somewhat more environmentally-friendly than lean meat because it uses parts of the animal that might not be used otherwise. Hydrolyzed means the protein is broken into individual amino acids, making them easier to absorb. Use this type to improve skin and joint health or get better sleep. Hydrolyzed gelatin can be mixed into any type of liquid, including cold liquids, so it can be added to cold smoothies or juices easily. It also is great as a real food protein powder. Whole protein gelatin is better for improving gut health. It helps carry fluid through the intestines, and can even coat the lining of the digestive tract as a soothing and protective layer. This is the type used to make gummies or jello snacks, and must be mixed into warm liquids. One population who may need to be careful about consuming gelatin or gelatin powders are those with histamine intolerance; some people report a histamine reaction to these foods and thus gelatin may not be appropriate for those with severe intolerances. Have I convinced you to eat more gelatin? Are you a vegetarian that uses gelatin? Share your story in the comments below! Gelatin for Glycine, or can we get same benefits from the straight Glycine supplement? I use both myself, Gelatin in AM smoothie, and 1gm Glycine 1 -2 x/day in water.